» Hydro Flask vs Thermos: Which is the Better Brand? Hydro Flask vs Thermos: Which is the Better Brand? In years past many outdoor enthusiasts relied on plastic bottles for their drinking water or an old-fashioned thermos-style bottle for hot drinks. Brands like Nalgene popped up and became the go-to bottles for sports and outdoor activities, including hiking, camping, hunting, and more. The classic plastic Nalgene still remains a favored brand on the market, but over the past decade or so the popularity of stainless steel bottles has skyrocketed. Visit any outdoor or sports section of a store and you’ll find a wide range of different stainless steel beverage bottles. Even many dollar and discount stores will have stainless steel bottles, albeit not the best quality. 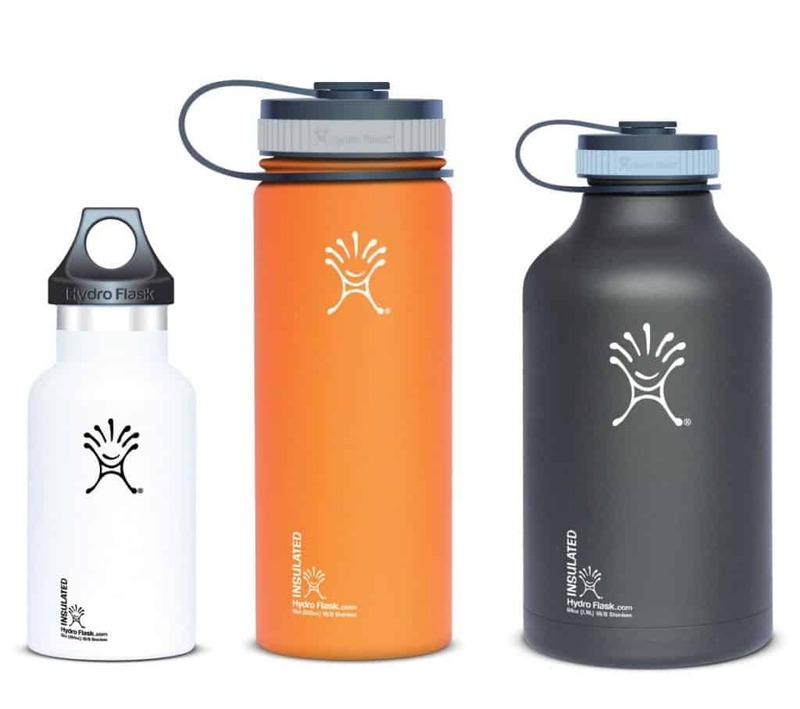 Stainless steel bottles are durable and long-lasting, making them great for outdoor adventures. Accidentally drop a rigid plastic bottle and you could shatter it. Drop a stainless steel bottle and at most you may end up with a dent. Where stainless steel bottles really surpass plastic in performance is when they have double-wall construction. A double-wall, vacuum-insulated stainless steel bottle is essentially the best style of water bottle you could get. They won’t shatter or crack if dropped, condensation won’t form on the outside of the bottle, and your drinks will stay cold (or hot) for many hours. Many different double-wall insulated bottle brands have popped up, with one of the most well-known being Hydro Flask. 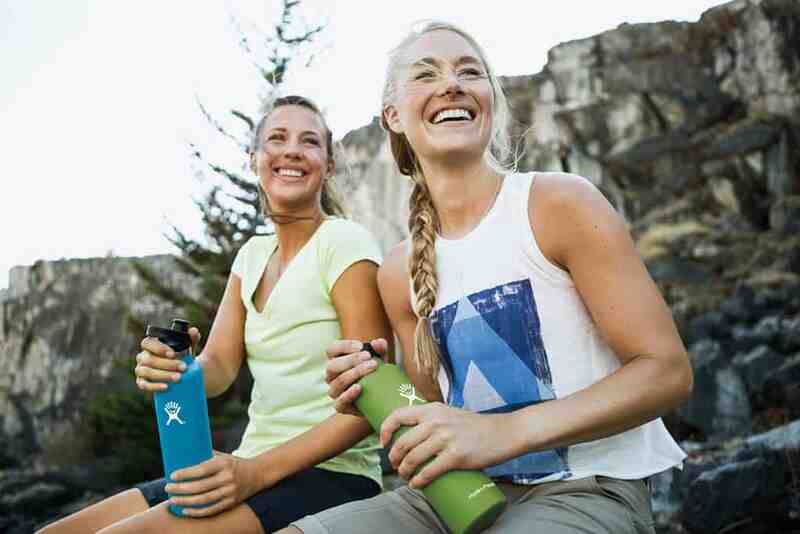 Hydro Flask is a favorite for outdoor use as well as daily use at home, work, and school. 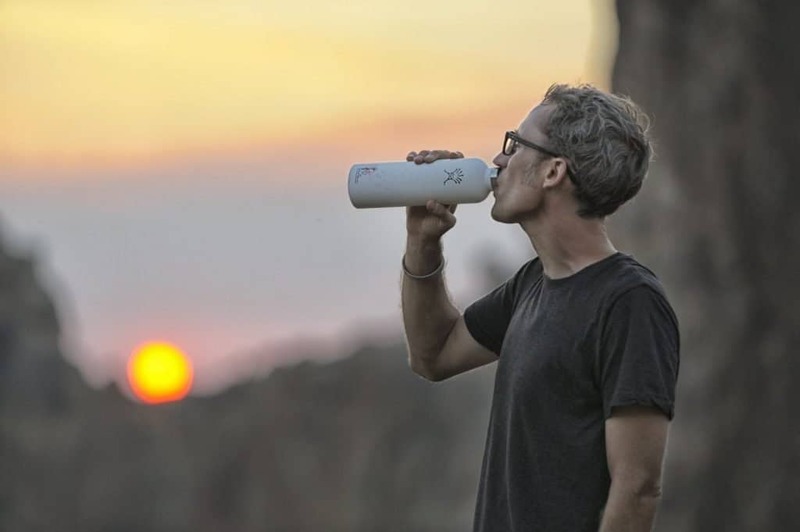 The main reason for the success is that fact that when they were founded in 2009 their all-insulated bottle design was the first of its kind. In contrast to Hydro Flask is Thermos, a brand that is synonymous with insulated beverage and soup bottles. Founded back in 1904, Thermos is considered a household name that many use to describe any type of insulated bottle or food jar. In order to keep up with the transition to insulated stainless steel bottles, Thermos began producing their only double-wall vacuum and foam bottles. 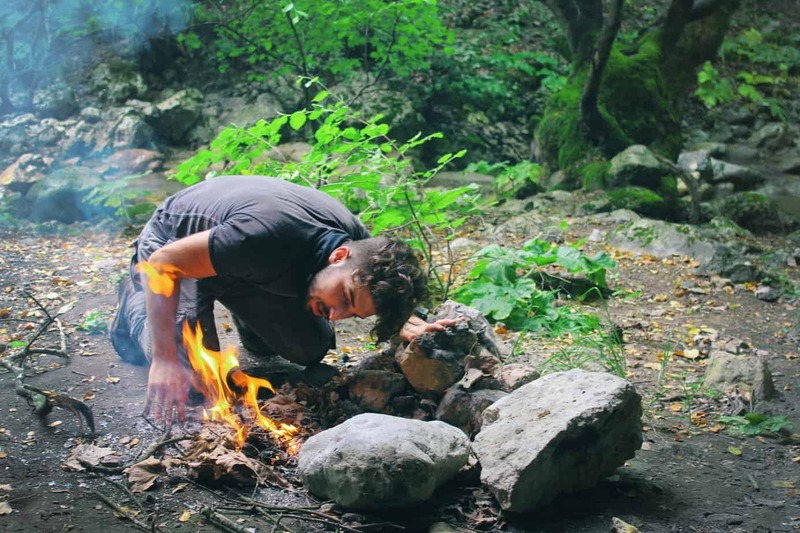 Both brands are respected and trusted by many outdoor enthusiasts, but depending on what you desire from a water bottles one brand might be a better choice over the other. If you like having a lot of options and customizations to your gear, you’re really going to love Hydro Flask. As far as insulated water bottles go, this brand has the most color options and plenty of accessories to go with them. Hydro Flask organizes their bottles by mouth type, meaning Wide Mouth or Standard Mouth bottles. They also have a small Kids version as well. Bottles sizes also vary and most are available in Wide or Standard mouth. Total of 11 different colors to choose from and retails for $29.95. All bottles come with standard screw-on lid (Flex Cap) with handle. Flex Cap bottle comes in 11 different colors, same as the 18 oz bottle, and retails for $32.95. Choice to upgrade to Sport Cap for $35.95. Sport Cap model comes in 6 colors. Comes in 11 different colors and retails for $34.95. Comes in 11 different colors and retails for $39.95. Upgrade to Straw Lid for $44.95 with 6 color options. Comes in 11 different colors and retails for $42.95. Upgrade to Straw Lid for $47.95 with 6 color options. Comes in 4 different colors and retails for $59.95. Upgrade to Straw Lid for $44.95 with 6 color options. As mentioned above, there are different caps that can either come with your bottle or can be purchased later. Standard Mouths use the classic Flex Cap or the Sport Cap. Wide Mouths use the classic Flex Cap as well as the Wide Mouth Straw Lid and the Hydro Flip. Consider all sizes, colors, cap options, and other accessories (that are sold separately), there are a total of 183,456 combinations of Hydro Flask bottles. All Hydro Flask bottles will keep water cold for 24 hours and hot for 12 hours, regardless of the bottle size or lid type. All bottles are also made of 18/8 professional grade stainless steel and are complete with a vacuum-insulated double-wall design. Compared to Hydro Flask, who clearly specializes in water bottles, it’s easy to see that Thermos is still fairly new to insulated water bottles. This doesn’t mean that they lack in quality, but rather than they have a slimmer selection of options. Rated to keep water cold for up to 14 hours. Not designed to be used with hot drinks. Will keep water cold for up to 24 hours and hot for up to 12 hours. Designed for those wanting a stylish bottle as it comes in both gold and rose gold colors in addition to classic stainless. Keeps water cold for 24 hours and hot for 20 hours. Great choice if you regularly carry hot beverages, such as coffee. Screw tip lid does have carry loop, but many find it to be delicate. Keeps water cold for 24 hours and hot for 12 hours. Bottle is stainless steel, but this model has a silicone grip layer on the outside. All of these bottles come in a choice of 3 or 4 colors and have screw-on lids. None of the lids have handles and Thermos doesn’t have any additional accessories to go with their bottles. Which Brand has the Better Bottles? Based on the various pros and cons of both brands’ bottle designs, choosing the right bottle comes down to a few factors. Like insulation effectiveness, versatility, and accessory options. All things considered, the average outdoor enthusiast that is going to take their bottle on hikes, kayaking, camping, and cycling will find the Hydro Flask to be the best choice. Your water will stay cold for up to 24hrs, making it ideal for day-long trips and general traveling. All Hydro Flasks come with a handle built into the lid, a fairly basic feature of a water bottle that isn’t present on Thermos bottles. Additionally, the numerous accessories that you can buy for your Hydro Flask really increase its versatility. 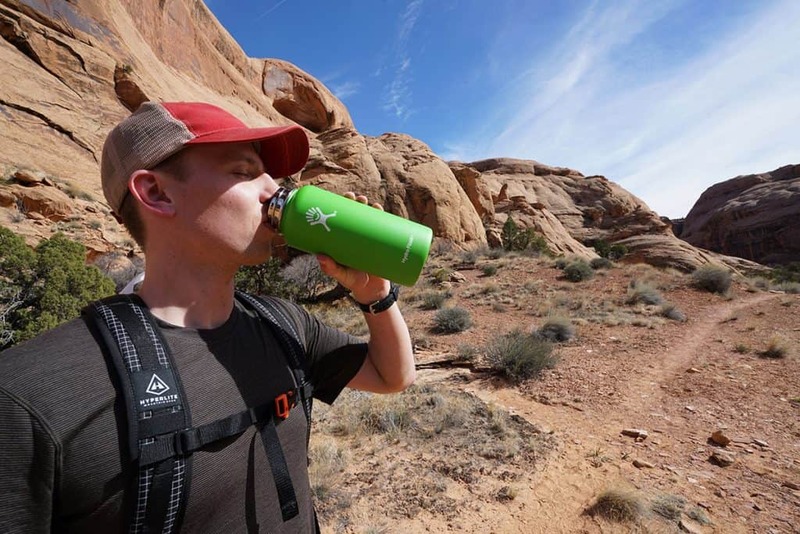 If you want to switch to a straw lid you can or if you get tired of the open mouth design, switch it to a sports cap to let you drink while hiking without spills. The Hydro Flask does cost more than Thermos brand bottles. Although it’s worth the investment, if all you desire is a simple bottle that will keep your water cold, you might prefer going with Thermos. Thermos bottles are by all means durable and still a great choice, but their simplistic design makes them more suitable for casual/day use rather than intensive outdoor or sport use. For maximum temperature control, ease of use, and for those where style is important, go with a Hydro Flask bottle. If you prefer minimalistic designs and don’t want to spend more than $30 on a water bottle, Thermos is a great choice.